Build Your Professional Image, Save Time and Money! 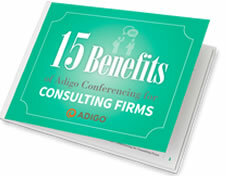 Discover the key ways conferencing can be optimized to benefit consultants and consulting firms of all types and sizes. Get The Free Resource For Consultants!